Here are the highlights of the many things to do in the Overberg this coming weekend. The weather is looking fine – not too hot, not too cold – and there are some really fun things that you will definitely not be able to do anywhere else! If you love a good trail run Greyton is the place to be. The Old Potter’s Inn and Brewhouse is hosting a fun trail run through some SECRET trails in the Greyton Nature Reserve that have been specially opened for the day. Jumpstart your run with a MIKO coffee and padstal rusk. Along the route you’ll find two water points – one for the 12km and two for the 20km – there will be BOS tea energy drinks, cokes, water, treats and banana bread galore! 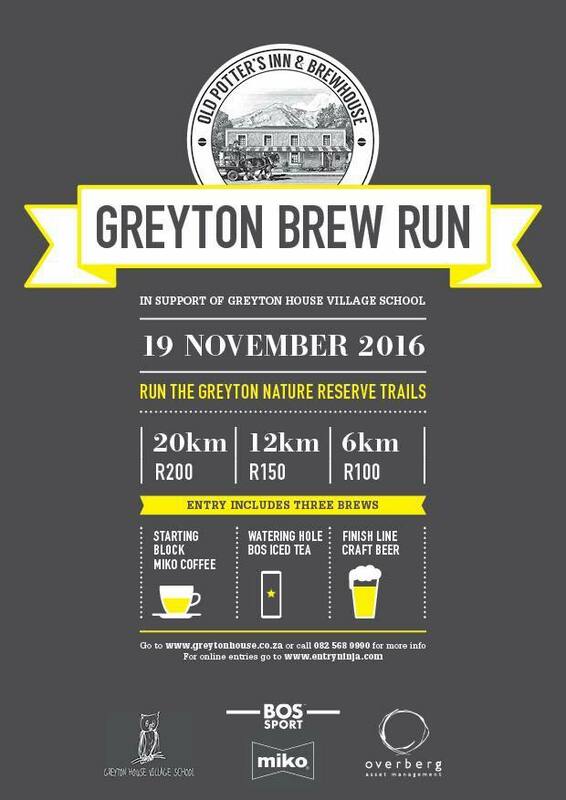 If you make it to the finish, and trust me you’ll want to…kick back on the lawns opposite Potter’s Inn and Brewhouse with a pint of Greyton’s very own brew and a lekker braai. Nothing could be better! On Saturday morning you can go to the VERY SPECIAL LOVE.ability Christmas Market and Open Garden at Ability House. You will find a delightful, unique and affordable range of hand crafted items made by members of the Overberg Wheelchair Association. When you see their creations you will see that these disabled people are extremely able! Browse around and then enjoy tea, coffee and cake in their peaceful permaculture veggie garden. There will be craft activities for kids as well. You’re guaranteed of an extraordinary, humbling experience and it’s likely that you’ll come away with your Christmas shopping complete. The Summer Open Air Movie nights kick off in the Old Harbour in Hermanus on Saturday evening with the 2010 version of the Karate Kid starring Jaden Smith. Bring a blanket, a picnic and your friends and family (of course) to enjoy a great movie on a big screen under the stars. 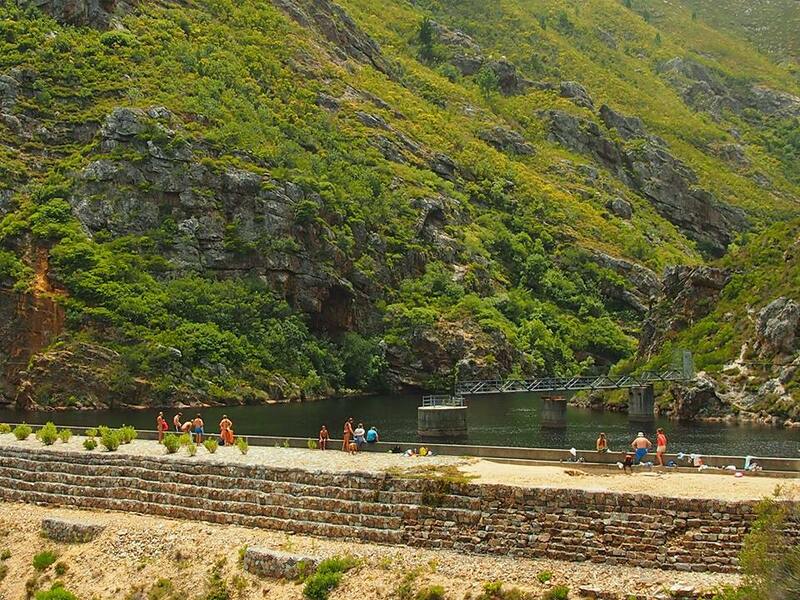 On Sunday there is great fun to be had at the 3 dams in Fernkloof – Ziplining!! Bring a picnic, something that floats, shoes you can swim with and all your buddies (don’t forget the sun cream!). R100 for the day to zip across the reservoir to your hearts content. There is also a high tea and book launch at the restaurant that everyone in Hermanus is talking about at the moment – Source. The book is a recipe book For Friends & Family by Nikki Stubbs that contains a range of recipes from family meals to festive favourites. 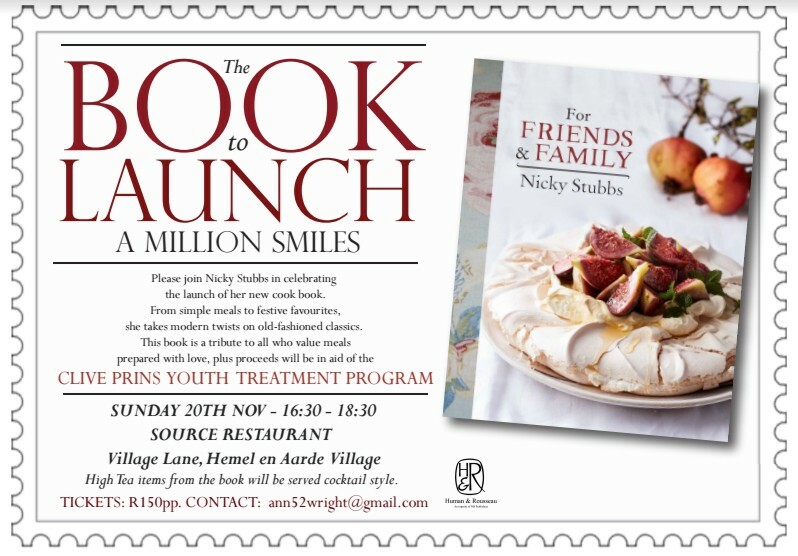 A selection of items from the book will be served cocktail style and all proceeds go to the Clive Prins Youth Treatment Programme that is doing wonders in addressing the issues of substance abuse in the local community. An event that is worth supporting in more ways than one.